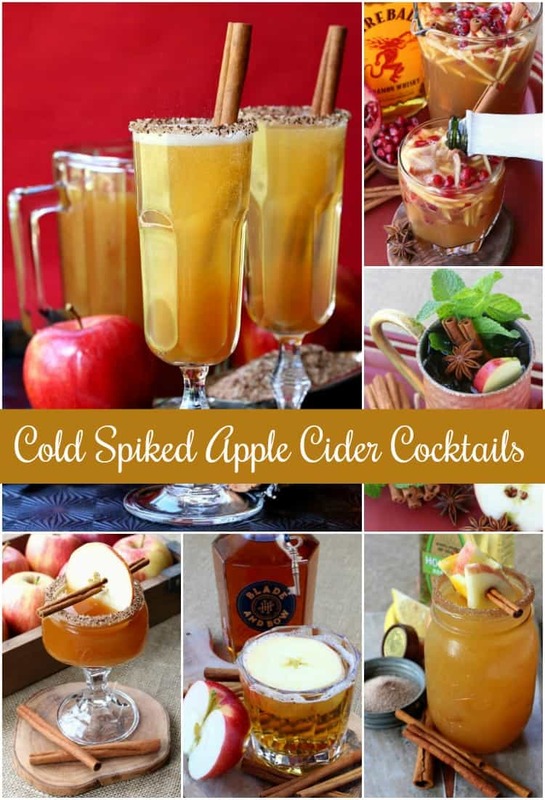 Cold Spiked Apple Cider Cocktails are my favorite spiked drinks to make with cider. 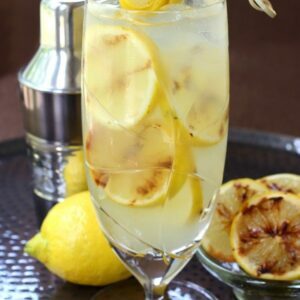 These cider cocktails are perfect for brunch, parties or happy hour! What I like most about the weather changing from my most favorite season, summer, to fall and then winter is mostly just about the food and cocktails. There’s nothing more comforting than a beef stew cooking away in the oven or a big pot of soup going on the stove. Those are my comfort foods and the cold weather gives us a reason to eat them. Because I’m not into skiing or really any winter sports and I’m definitely not a fan of shoveling snow and losing power during bad storms…winter is about all I can take. But I AM into comfort food, dinner cooking all day in a slow cooker or in the oven, and cocktails. 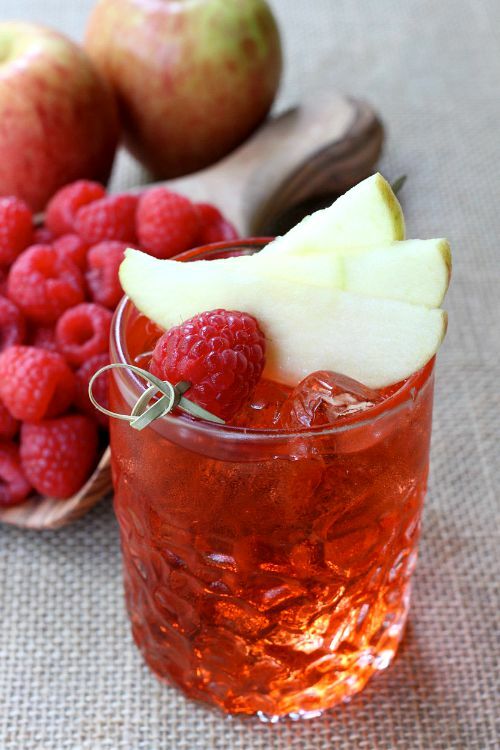 Let’s get started on some favorite cider based cocktails for the season! 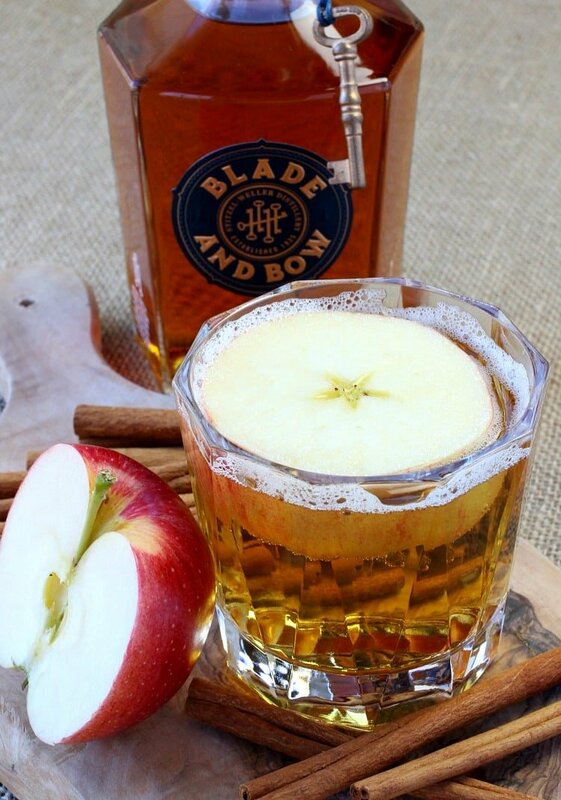 We don’t want to forget about cold cider drinks for breakfast…or brunch. These Apple Cider Mimosas are going to be perfect! 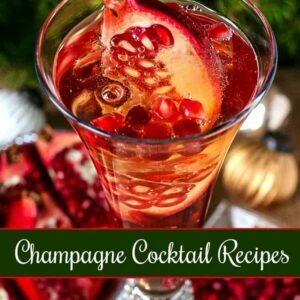 An apple cider champagne cocktail that is a refreshing as it is crisp and delicious. 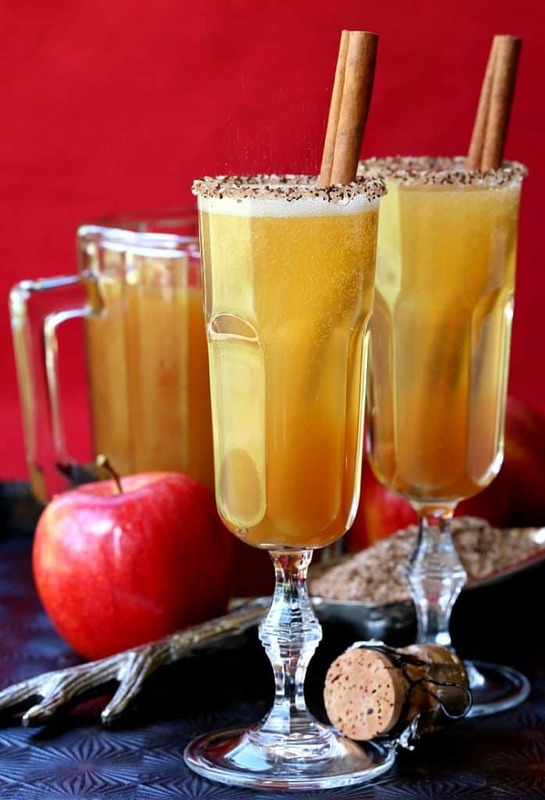 Another cold cider cocktail for those warm fall days, or cold winter days by the fire. 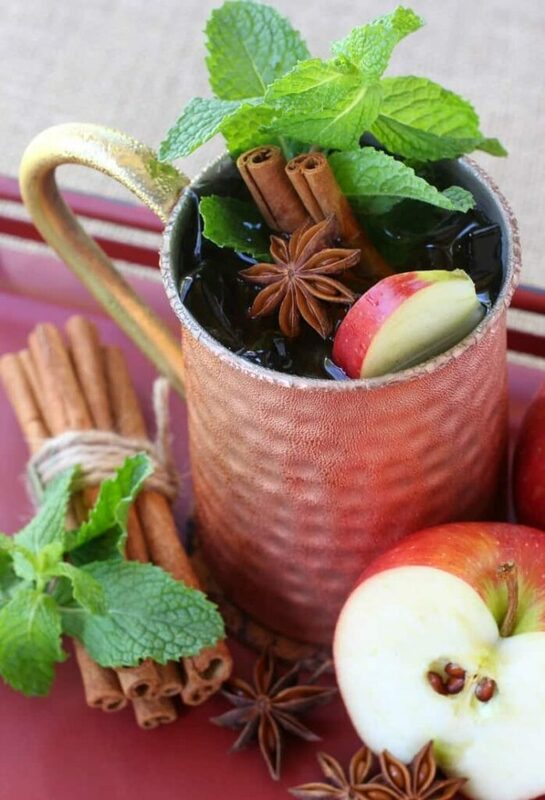 Don’t forget all the garnish for this cider mojito, it adds so much flavor to the drink! The glass here is the fun part about this drink, but don’t let that sugared rim fool you, either. 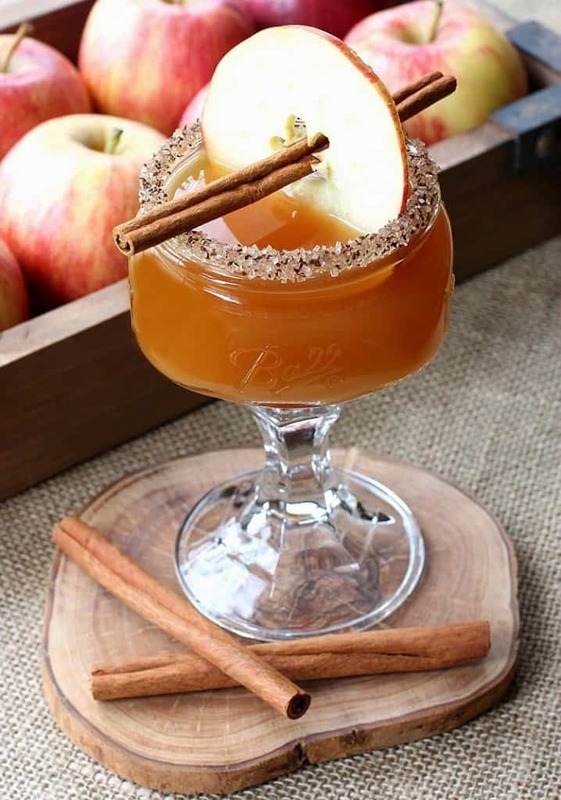 This apple cider martini has a tart but sweet apple flavor that packs a punch! It’s one of my fall adult drinks out there. This one’s a showstopper! A sangria that looks as good as this is going to be a hit at any party. 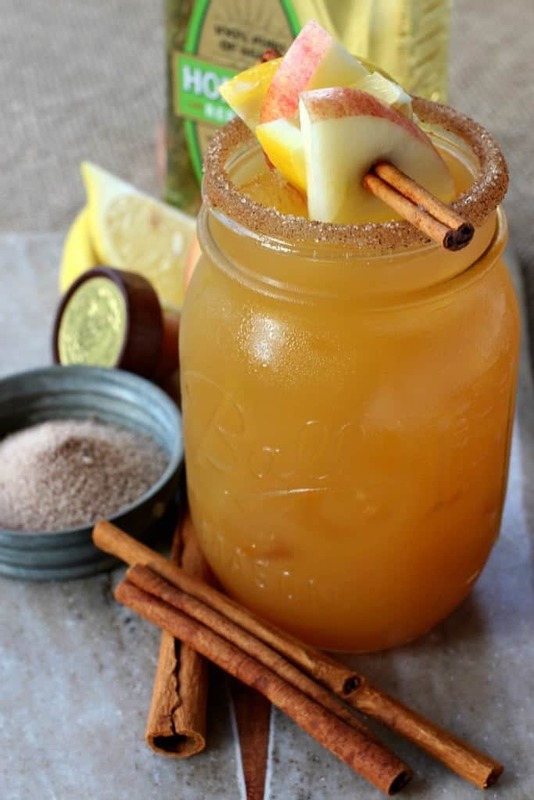 Any Fireball mixed drink recipes are going to make people sit up and listen, this cold spiked apple cider sangria is no exception! 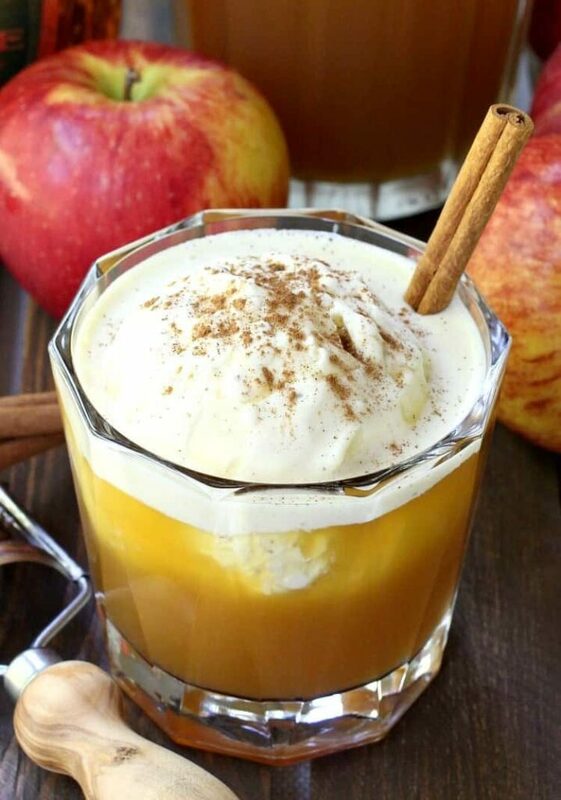 This one could fall into the dessert category for me, but I know with all that caramel apple vodka in here it’s going to go down easy! Let’s not forget about dessert in thisTop Ten Boozy Cider Cocktails list! 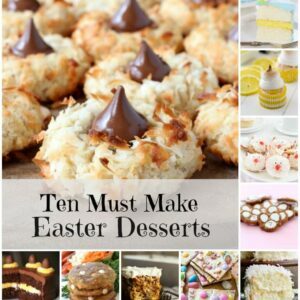 I love the idea of serving dessert cocktails at parties. 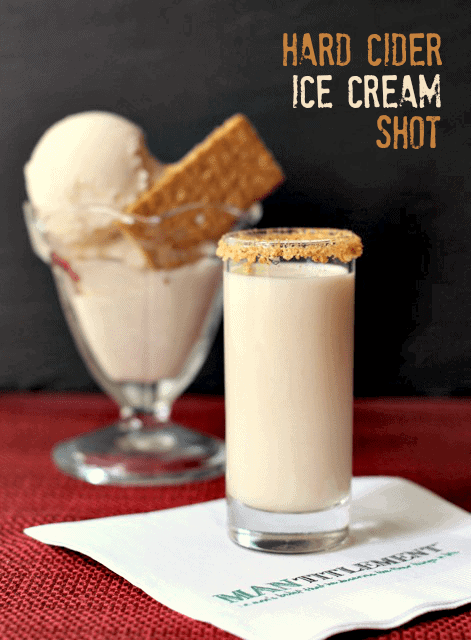 Everyone is impressed when a boozy, dessert cocktail gets served up to them. And you can still serve a slice of apple pie on the side! 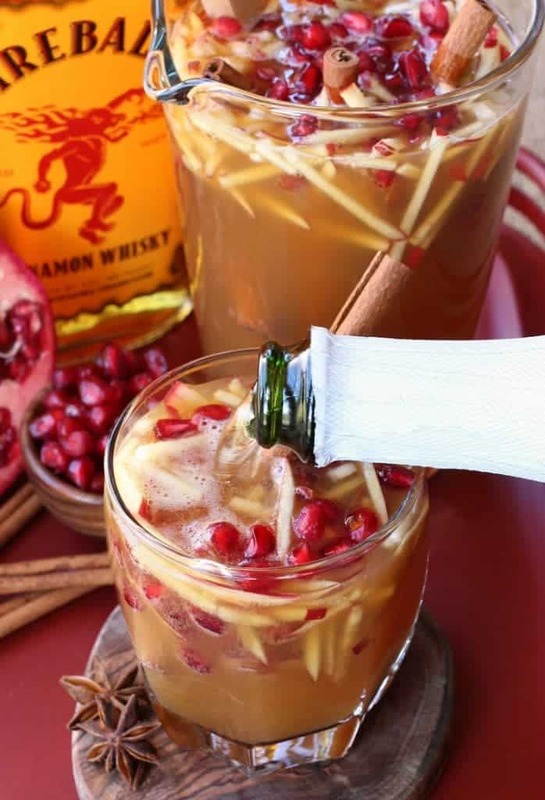 Anyone going to turn down a boozy, fall adult drink like this one? My kids go crazy for slushies like these and it’s no wonder – they’re delicious! 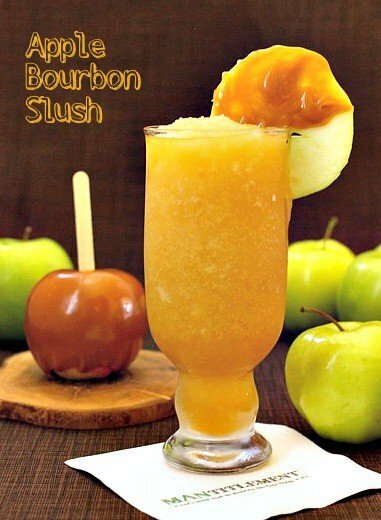 Save this cider slushie for the adults because this drink has apple bourbon and caramel vodka blended right in.